By Melissa Lennig on March 4, 2013 10 Comments. This content contains affiliate links. As an Amazon Associate I earn from qualifying purchases. At this very moment, if you were to drive through any small town in rural New Hampshire, you would notice buckets hanging from trees, or a network of pale blue tubing twisting through someone’s yard. 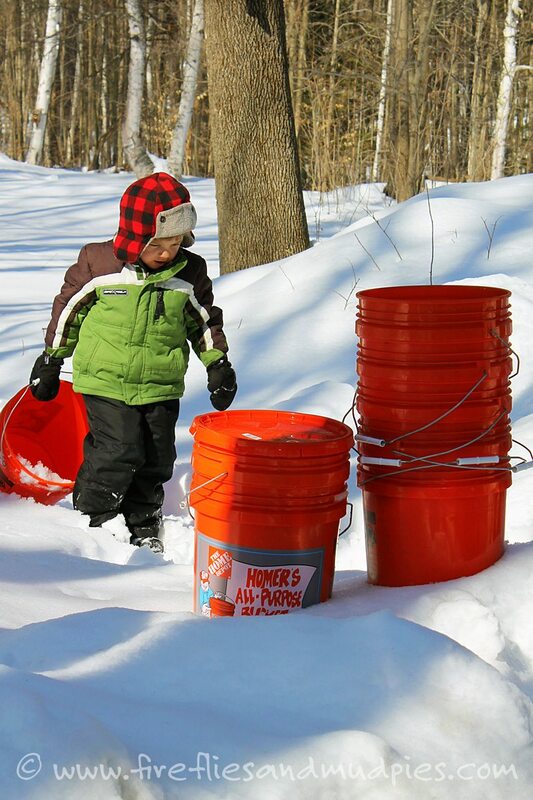 New England has a long, proud history of maple sugaring and my family has eagerly joined the tradition! 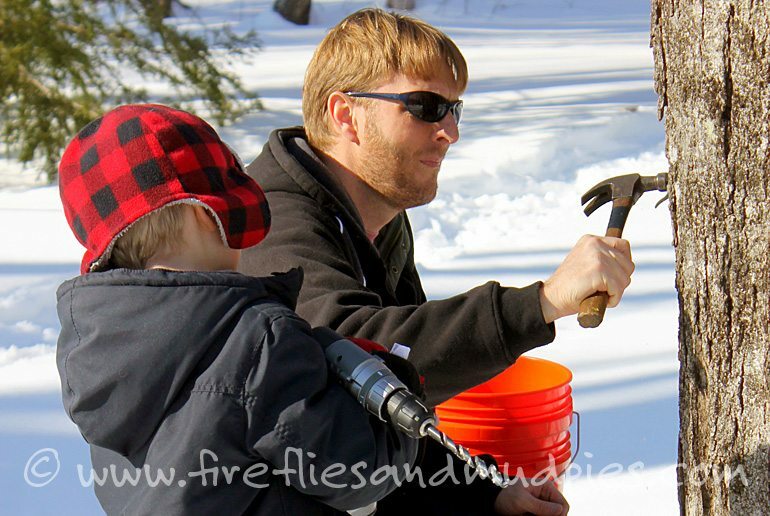 Our backyard sugaring story began in March of 2012 after my brother discovered a cigar box full of dusty antique spiles (spouts) at my family’s New Hampshire cottage. 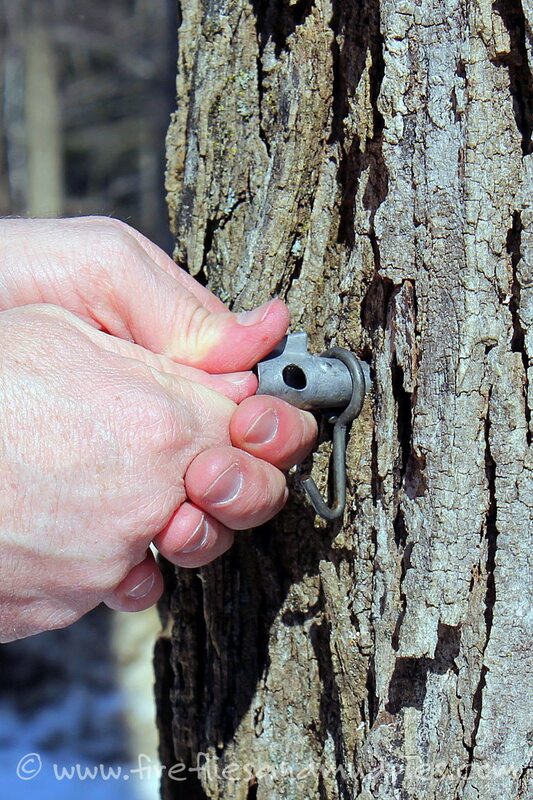 He began tapping maple trees at his home in upstate New York and shared some of the spiles—and his Sugar Maple identification tips—with us. 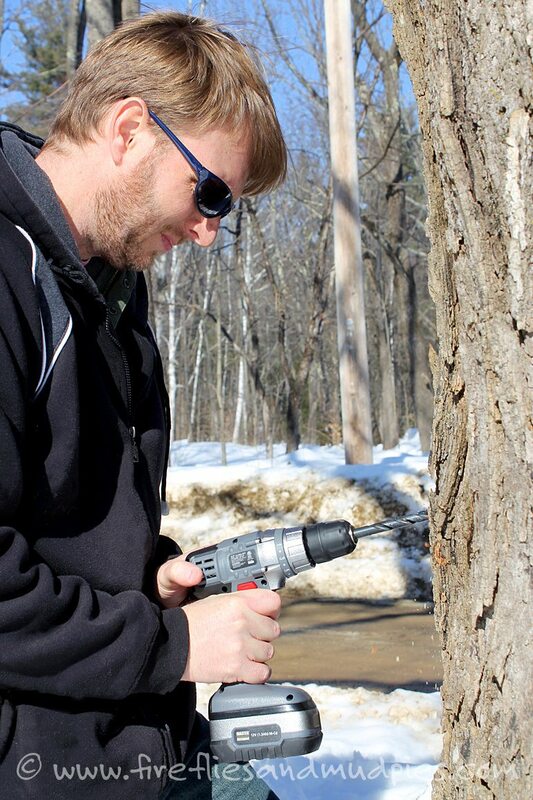 A few days later, we ventured back home to New Hampshire and tapped 6 Oak trees and 2 Sugar Maples. Oops! Everyone makes mistakes, and we discovered ours later that day when we had 2 overflowing buckets of sap and 6 empty ones! I pulled a small piece of bark off of a Sugar Maple tree and carried it with me as I walked throughout the yard, using it as a guide to find the correct trees. This year, we didn’t make any mistakes. The trees are tapped. The sap is running. The syrup is cooking. And the air smells sweet! 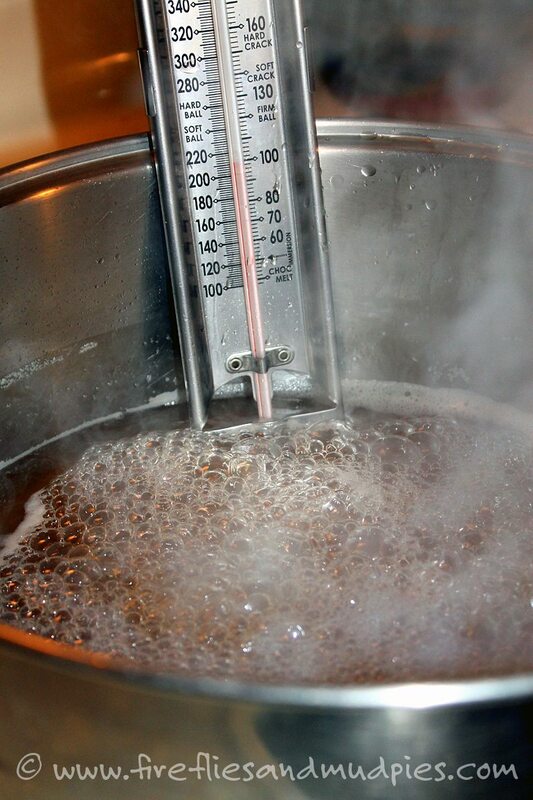 The maple syrup is ready at 219º F. I pour it into sterile, hot jars and wait for the “ping” that all canners love to hear. It takes 40 gallons of well-filtered sap (we use coffee filters) and many hours of evaporation to make just 1 gallon of maple syrup. 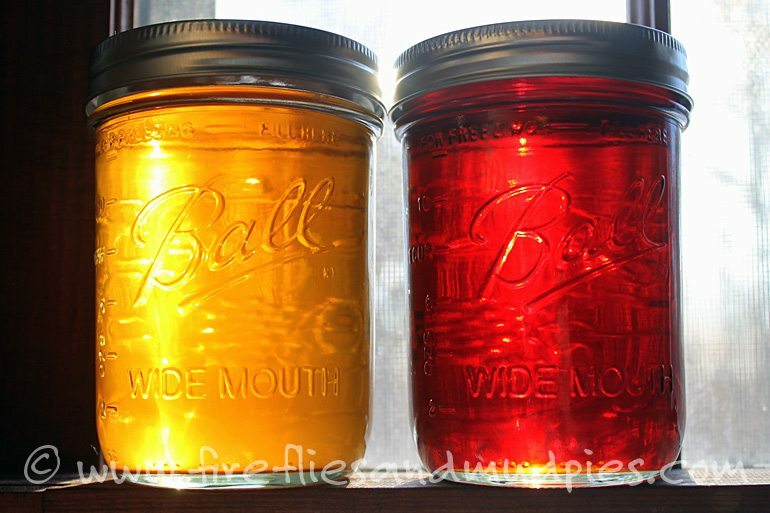 My son and I collect the sap twice a day and store it outside in the snow when it’s not being cooked. 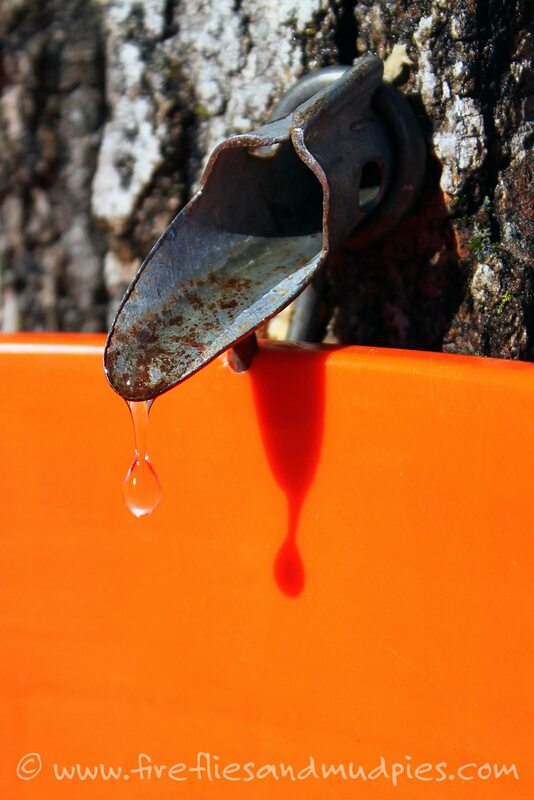 My kids can’t help but taste a bit of sap from every tree we’ve tapped. It’s ice-cold and watery, with just a hint of something sweet. Nevertheless, it is obviously more delicious as Grade A, Medium Amber syrup—drizzled over homemade Saturday morning pancakes! The books shared below are an amazing resource if you are interested in learning more about the backyard sugaring process. It also helps to talk to someone who taps trees and produces syrup—they are full of passion and would be happy to talk about it all day! This book was our #1 resource! 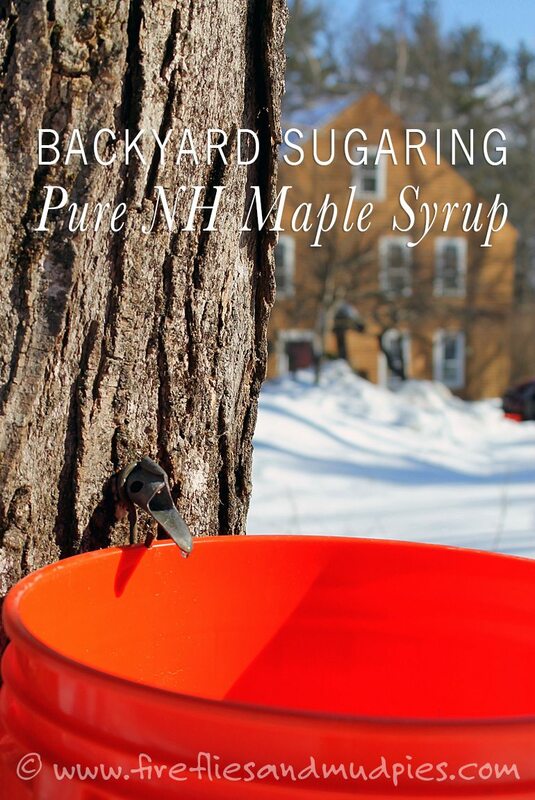 Another great guide—you can’t own too many awesome books about maple sugaring! If you liked Animal, Vegetable, Miracle by Barbara Kingsolver, you will like this story. A beautifully illustrated children’s picture book about maple sugaring. A resource for your kids!